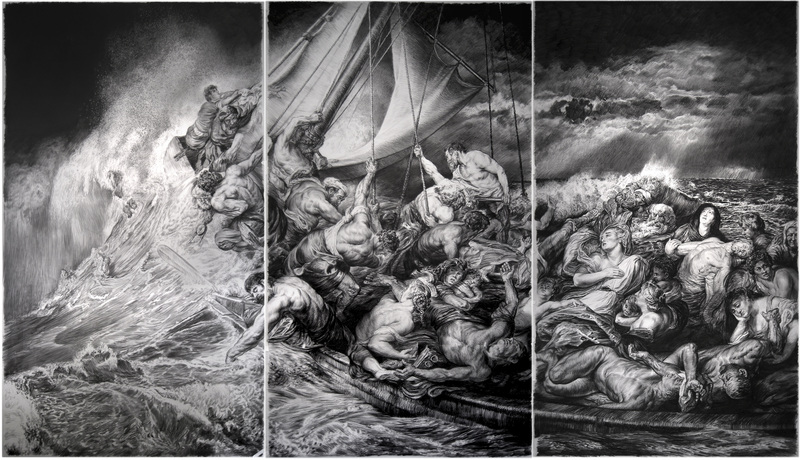 “Refugee Trilogy is a suite of large-scale charcoal drawings that is a reaction to the ongoing immigration crisis unfolding across the globe and reflects the three thematic scenes that began to distill for me the journeys taken by refugees everywhere. 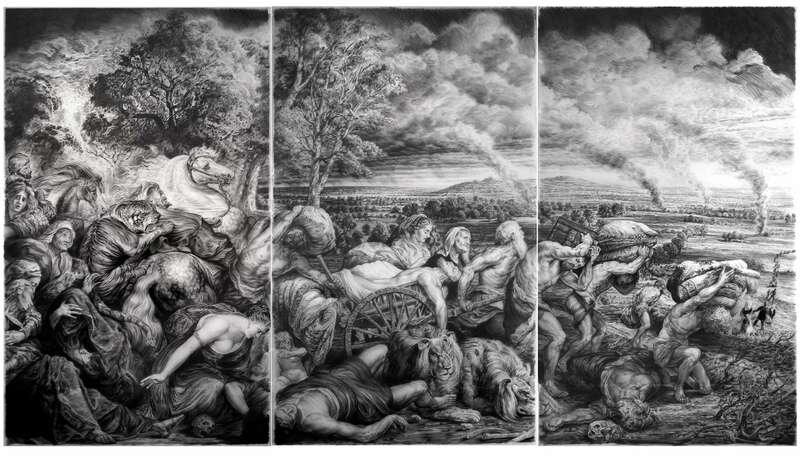 The three triptychs, each measuring 96 x 166 inches, are in a chronology suggested by news reports. 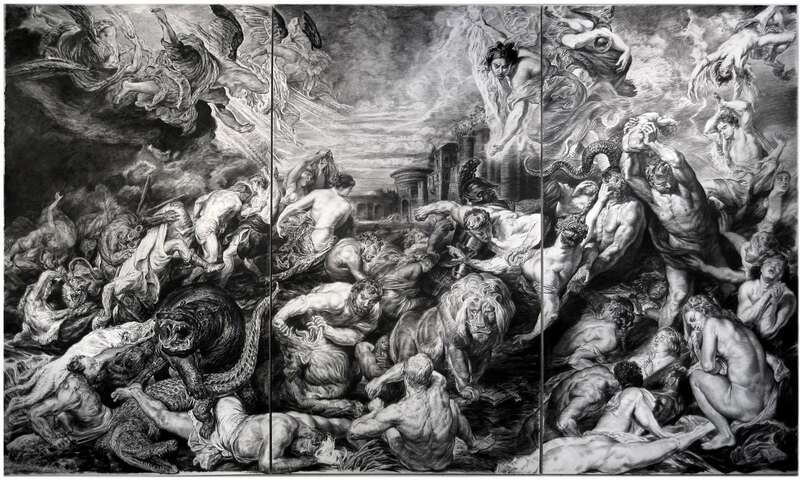 This project made possible in part by grants from The Pollock-Krasner Foundation and the CT Artist Fellowship Program.